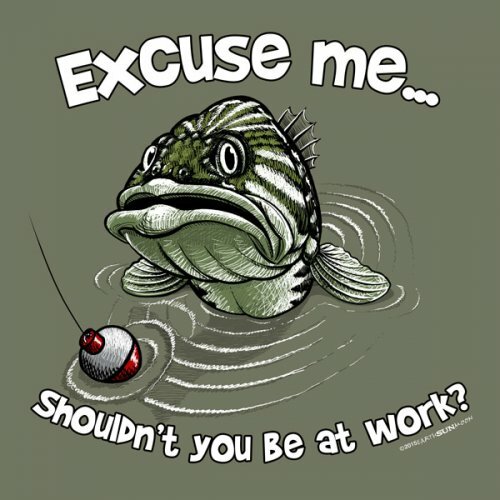 The next time you want to skip work to go fishing, do it in this hilarious Excuse Me Fish shirt. This bass thinks he's funny, but he doesn't understand the daily struggle of the 9-5 grind. A bad day of fishing is better than any good day at work! This is a great gift idea for all of the dads out there.